Dennis Clinger Smith was born January 26, 1946 to Thomas William Smith Jr. and Mildred Clinger. Dennis had two siblings, Jim Smith & Vivian Smith Little. His early years were spent farming west of Idaho Falls. After graduating high school, he attended the University of Idaho in Moscow. After a year of college, he served a 2.5 year mission for The Church of Jesus Christ of Latter Day Saints in Germany. In 1965 his family moved to Hammet, ID where he met & fell in love with Donna Lou Solosabal. They courted while they both attended BYU in Provo, Utah. They were married & sealed in the Idaho Falls Temple on August 16, 1969. Dennis went on to finish his degree in Civil Engineering then his Masters in Structural Engineering while Donna completed her degree in Elementary Education. They were blessed with six children: Jason Joaquin Smith, Mirinda Lou Showalter, Kristin Jo Showalter, Dennis Shay Smith, Kade William Smith, & Lane Thomas Smith. After graduation they chose to raise their family in Glenn’s Ferry, Idaho on the family cattle ranch. Family, friends, & especially grandchildren know that Dennis always loved sharing his many cow stories from that period of life. Circumstances changed, and he was able to invest in the NAPA Auto Parts store along with his sons. He & Donna moved to American Falls in 2004. 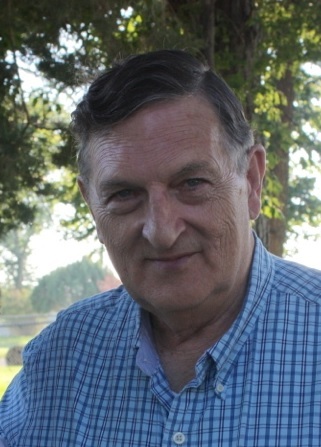 He spent the remainder of his life working alongside his sons, doing yard work with his loving wife Donna, and serving faithfully in his church callings. He was a gentle, brilliant, giant of a man who will be sorely missed. Funeral services are pending and will be made available at www.davisrosemortaury.com.